Why is lean meat a better alternative? Lean meat is a rich source of protein with a lower fat content. This means, unlike other meats, it has a lower calorie count and is considered as a relatively safe protein source. 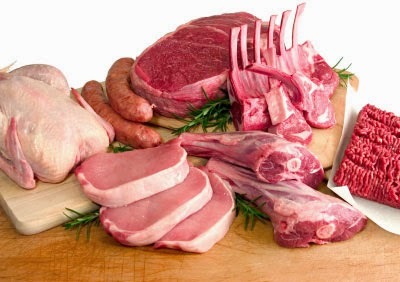 Lean meat includes skinless chicken, turkey, beef, pork chops with trimmed fat etc. Rich source of protein that aids in muscle building, organ development and synthesis of body fluids. Proteins also aid in repairing damaged cells and are the basic building blocks required by the body to build bone and skin. Lack of it slows down metabolism and causes mood related disorders. It is rich in iron and B complex vitamins. The iron content ensures healthy RBC production and the meat also helps you load up Vitamin C.
Iron also keeps the body energised and it is more easily absorbed by the body when obtained from meat. Lack of iron causes fatigue and weakness. Lean meat does not contribute towards the risk of cardiovascular diseases. It instead helps in lowering cholesterol levels and increases Omega 3 fatty acids. The vitamins, zinc and fatty acids ease anxiety, reduce inflammation, relieve stress and improves mood. Lean meat means lesser fat intake which automatically makes your diet healthier and reduces risk of heart disease. Since it contains only 10% fat, it is less likely to increase bad cholesterol levels in the body. Lean meat is beneficial when incorporated in a balanced diet after trimming off visible fat before cooking. It is not only healthy but can be cooked in several different ways and makes for a delicious meal as well.